Description: Individually numbered, limited edition 200-gram mono LP! Mastered by Kevin Gray and cut from the original mono master tapes! Plated by Gary Salstrom and pressed at Quality Record Pressings! 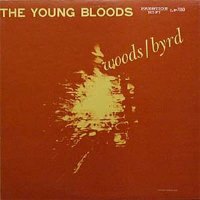 For this early hard bop date, altoist Phil Woods and trumpeter Donald Byrd were co-leaders. In fact, the music had at one point earlier on been released with Byrd getting first billing. Since the spirited altoist contributed four of the six tunes (including "House of Chan" and "In Walked George") and consistently takes solo honors, it is only right that the date finally appeared under Woods' name. With pianist Al Haig (who did not record that extensively during this period), bassist Teddy Kotick, and drummer Charlie Persip offering stimulating accompaniment, this is an easily recommended release (despite its brief LP length) for straight-ahead jazz collectors. Recorded on November 2, 1956 at the Rudy Van Gelder studio in New Jersey. Mono. Originally released by Prestige (PRLP 7080). This reissue released in 2012 by Analogue Productions.